In order to get the best results from your captures, there are a few things to consider in terms of your environment and technique. Here's a description of the main issues. 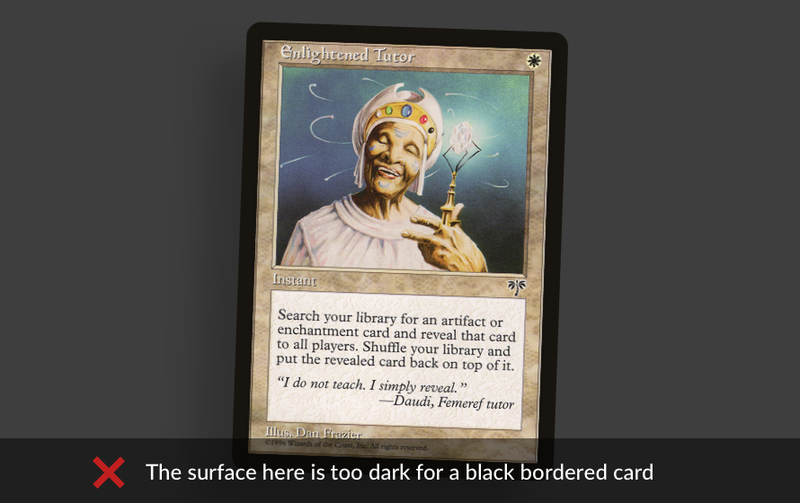 Make sure that your surface has high contrast with the border of the card you're capturing. 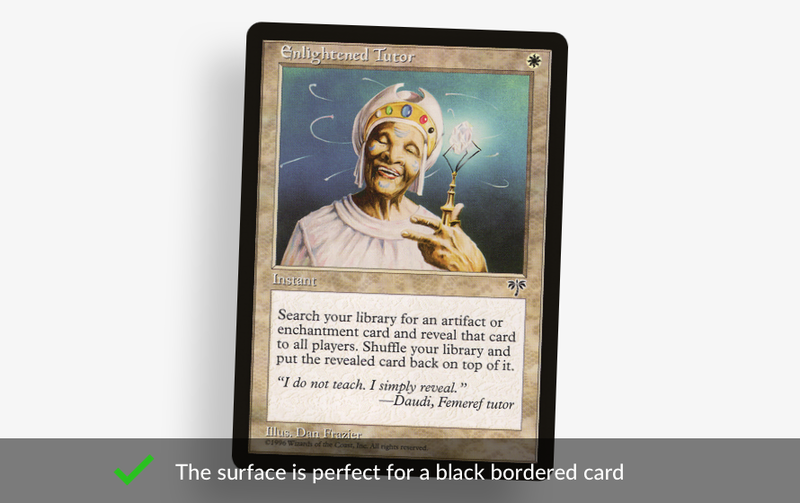 Light backgrounds are best for black bordered cards, while dark backgrounds are best for white bordered ones. Try to get quality and even lighting. This will minimise glare on the cards and help distinguish the card from it's background. This is especially important if your cards are sleeved. 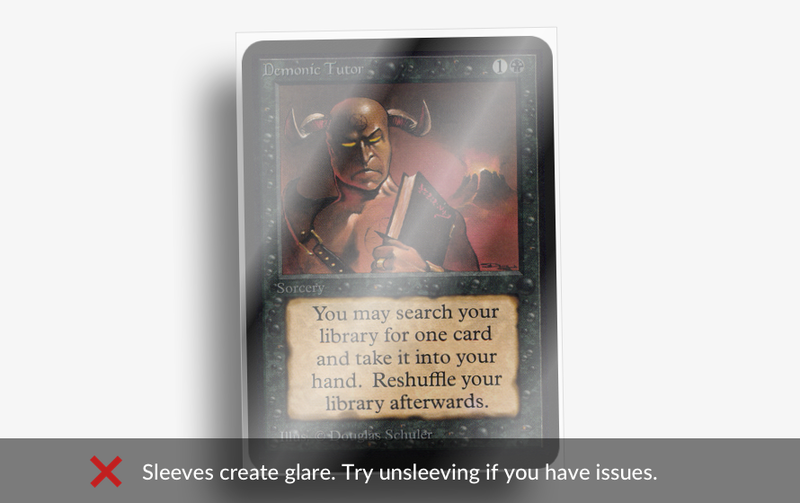 Sleeves can interfere with identifying cards. 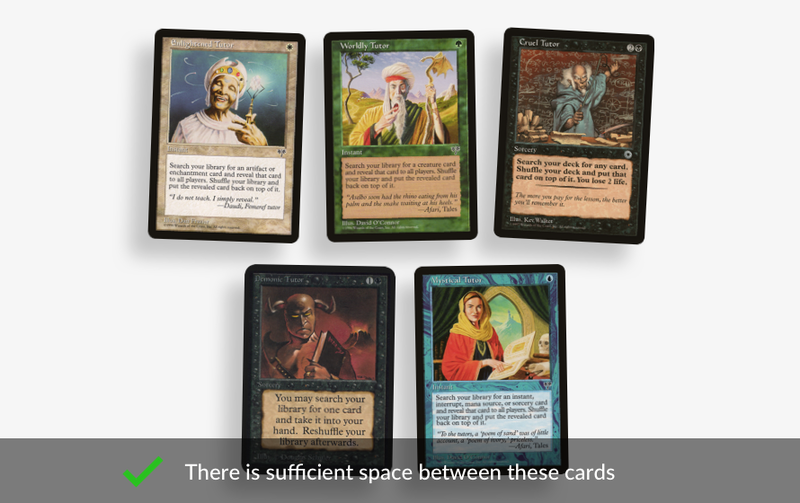 Similarly to the considerations with background surfaces, make sure your cards have sleeves that are high contrast with the card borders. 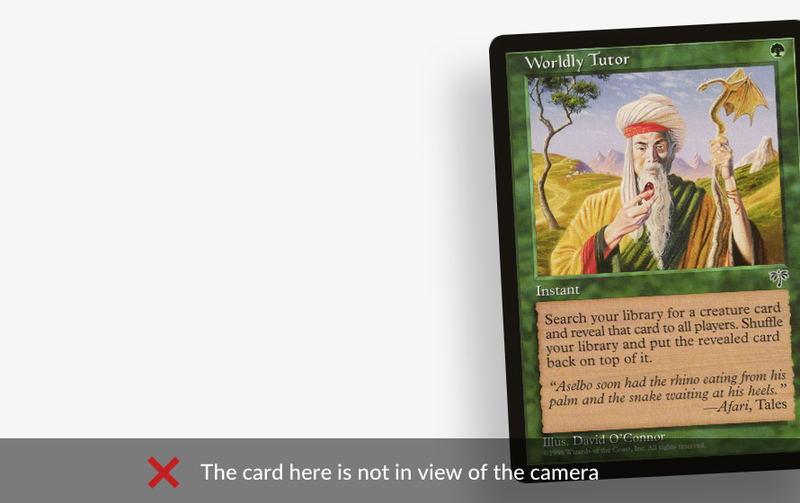 The best practice is to remove cards from sleeves before capturing. 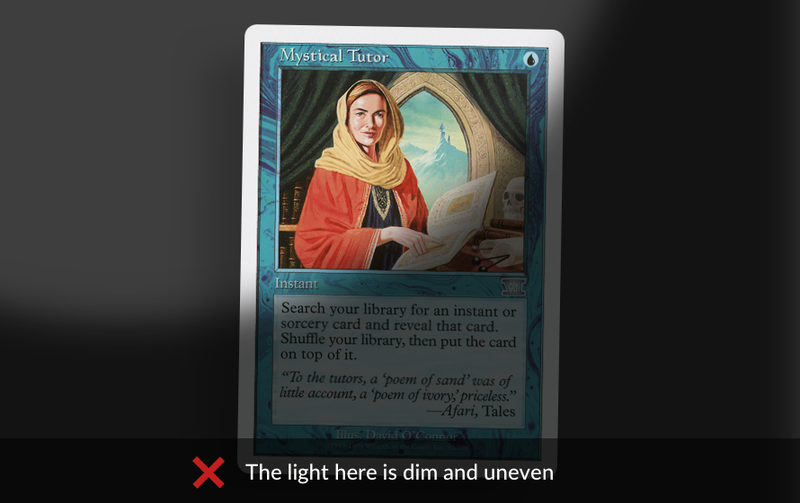 The app needs the entire card in view to successfully identify it. Make sure you've got sufficient space around the card in your shot. 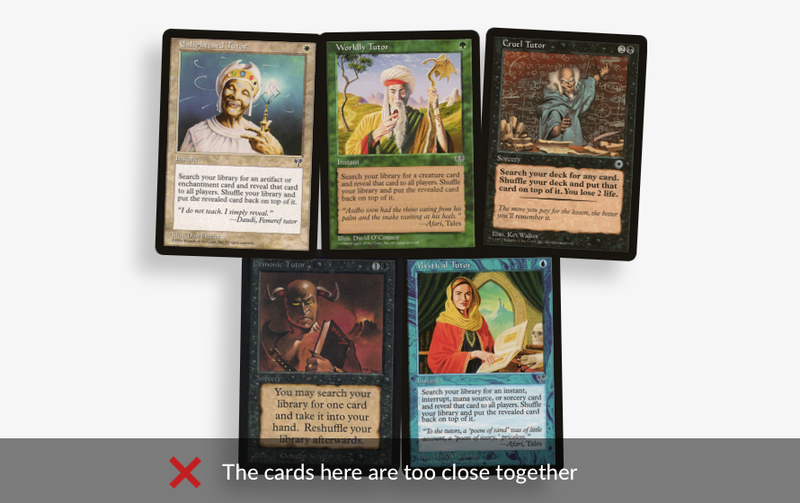 If you're capturing multiple cards, make sure there's a decent amount of spacing between them. Still need help?  Get in touch using our live chat system or via email, at contact@cardcastle.co, and we'll do our best to solve your issue.